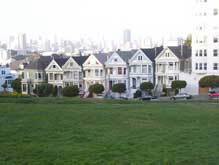 It is said that this is the park where tourists come the most to, and take pictures of "the Painted Ladies". From the park, you get to see a very beautiful view of San Francisco. 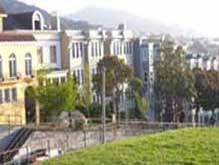 Alamo Square Park is one of the most famous parks in San Francisco. It is located between Hayes Street and Fulton Street. The bus that would bring you Alamo Square Park would be line 21 going either way. Here, many tourists come, and take pictures of the beautiful houses called “the Painted Ladies.” This is one of the greatest attractions for tourists. From this park, you get to see a nice view of downtown San Francisco. Also, you can see the Bay Bridge, and at the other side of the park, you get to see the Golden Gate Bridge.The neighborhood in which this park is located is very nice. The neighborhood is safe, and the people are very polite and respectful. 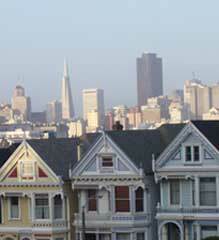 Alamo Square District is at a great location. 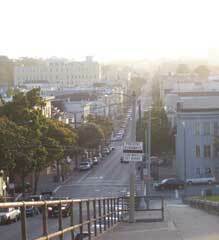 If you walk a few blocks down to Divisadero Street, you are going to find a variety of restaurants, and stores. One of the fast food restaurants that people visit the most, and enjoy eating there is Popeyes.Here, they have good meals for a really cheap price. They also have sandwiches, you can get just the sandwich or the combo, which includes a soda and fries. At this Popeyes, you can eat there and enjoy your meal. The employees there are very polite. Besides Popeyes, there are a lot of other different restaurants. They are not all fast foods. There, is some restaurants that you can really sit down and enjoy your time. In all da resdtaurants, the employees are also very polite, and have a lot of respect for their customers.Here at Divisadero Street, you can enjoy alot of different restaurants. You can find Chinese, American, Vietnamese, and Italian food. Also, if the day is nice, I see many people that come out, and enjoy the sun. A lot of the people also bring their dogs for a walk, and just enjoy the day. 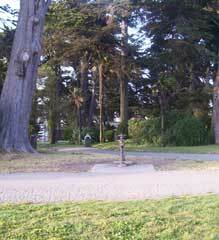 Alamo Square Park, would also be ideal for a picnic. This park also has a playground. It was juts remodeled. It is very nice, and children really enjoy playing there. From the park, you get to see a very beautiful view of San Francisco. It is said that this is the park where tourists come the most to, and take pictures of "the Painted Ladies". All of this about my neighborhood makes me feel proud because these are the things that are part of my everyday life, but to other people, the park and its views are amazing. 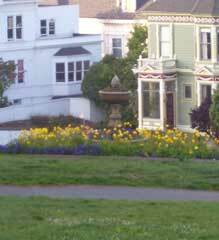 Something else that makes me feel proud, is knowing the fact that the neighborhood in which I live in, is a landmark to San Francisco, and it is famous for the “Painted Ladies.” I really like the district in which I live in. It is a very nice place in the city to live at. 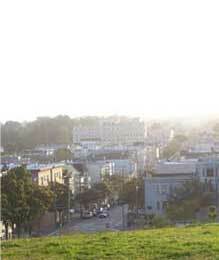 I hope you enjoy Alamo Square District! 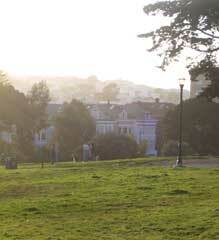 Alamo Square Park is one of the most famous parks in San Francisco.